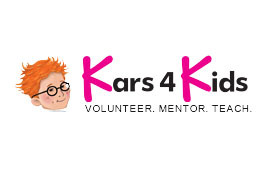 Kars4Kids is a registered nonprofit organization that has raised more than $100 million for its charity programs through car donations. Donors need an easy way to connect both before and after the donation to ask questions about titles and insurance, schedule pickups, request receipts and more, and they expect answers within minutes, not days. To maintain the organization’s high referral rate and to increase conversions, Kars4Kids must make the donation process as quick and easy as possible. "BoldChat has been helpful, time-saving, reliable and consistent. It’s a quick and easy way for donors to connect with us to get answers on the spot and has helped us increase donor conversions by 10%." Kars4Kids chose BoldChat when first implementing live chat in 2006. Their team of 60+ agents, mostly based in New Jersey with a few located in Canada and Israel, are able to work as a unified team on one easy-to-use platform to make the donation process smooth and hassle-free. Most donors typically have multiple conversations as they progress through the donation cycle. BoldChat improves this process by enabling agents to quickly and easily view previous conversations – avoiding the need to ask repetitive questions. They also use canned messages to quickly facilitate frequently asked questions, optimize those messages for better performance, and confidently multitask to boost productivity. BoldChat has continued to perform so well for Kars4Kids, they’ve never questioned its value or looked for a replacement.